Unmatched sophistication and elegance coupled with modern design make this ring a true treasure for life. A row of shimmering diamond accents, set horizontally, add a bright pop of welcome sparkle. Polished to a brilliant shine, this ring is a meaningful look of love. 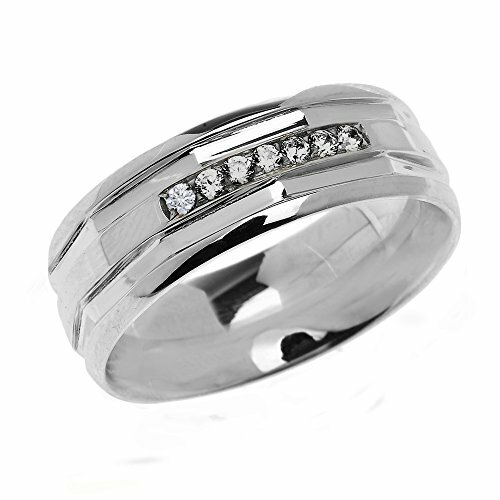 If you have any questions about this product by Men's Diamond Wedding Rings, contact us by completing and submitting the form below. If you are looking for a specif part number, please include it with your message.